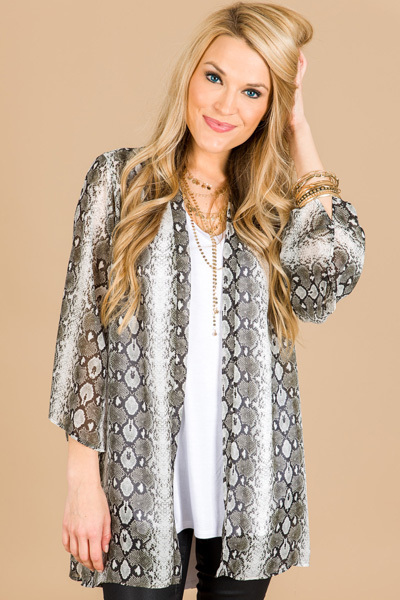 This simple topper features a chic snakeskin print and is made from a flowing, lightweight fabric! 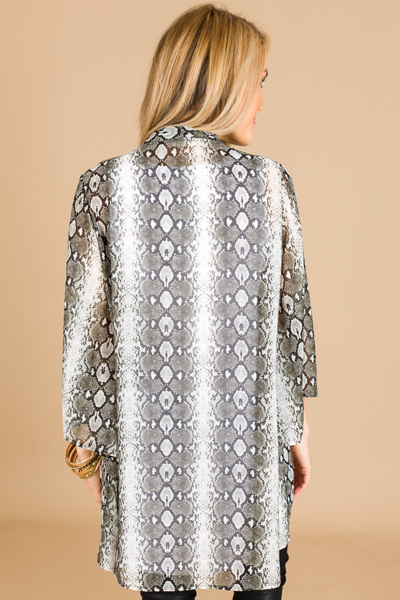 The neutral snake print makes this an easy choice for tossing on over any solid top or dress. 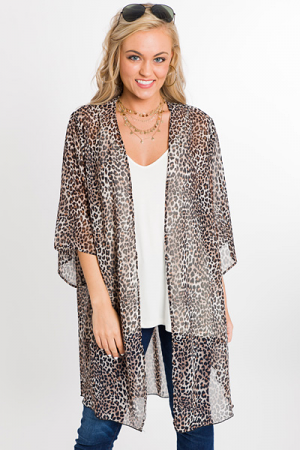 Length measures approximately: S=31" M=32" L=33"